Kiprich is known for his story telling skills and wit into a succession of number one dancehall hits, (born Marlon Plunkett in Waterhouse, Jamaica), He was formerly known as Crazy Kid. His first hit was “Leggo Di Bwoi” which was followed by “Mad Sick Head No Good” which is a collaboration done with fellow dancehall artiste predator. Also, he wrote the lyrics for Elephant Man’s “Jook Gal”, whose remix together with Kiprich himself, Lil Jon and The East Side Boyz entered the charts in 2003 (see 2003 in music). Kiprich wrote Elephant Man’s hit “Jook Gal” and was featured on the remix of the song, which peaked at number 20 on the Billboard R&B/ Hip-Hop Chart. 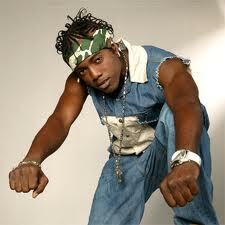 With the arrival of the new millennium, Kiprich amassed a succession of dancehall hits including “Real Bad Man,” the Jamaican chart topper “Mad Sick Head No Good” (featuring Predator) and one of the biggest hits of the ‘00s “Telephone Ting,” produced by (Shaggy’s manager) Robert Livingston and released on Shaggy/Livingston’s Kingston-based Big Yard label. “Telephone Ting,” which portrays the problems that arise in relationships due to the sophisticated technology (read: irrefutable evidence) intrinsic to mobile phone usage, quickly attained popularity across Jamaica, then reached number one on the South Florida and New York reggae charts, in the eastern Caribbean island of St. Vincent and in the African nation of Kenya. The greatest testament to the song’s popularity, however, was the many answer tunes it spawned, culminating in Kippo’s “The Letter,” an engaging country and western-reggae hybrid that cleverly details his return to basic forms of correspondence with his girlfriends, devoid of a digital footprint. Both songs, featured on his 2005 debut album Outta Road (Big Yard/VP Records), propelled his career to a greater level of visibility while demonstrating the realistic, oftentimes humorous depictions of everyday situations that characterize his exceptional songwriting skills. Kippo’s 2008 release Drama King, for Japan’s Pony Canyon label, includes the dancehall boom shot “Bun Fi Bun,” an illustration of an unwelcomed outcome surrounding marital infidelity, and the sultry R&B flavored “Forty and Over,” featuring veteran female deejay Junie Platinum portraying the cougar in a May/December relationship. Drama King increased his already immense popularity in Japan, where he has performed several times to tens of thousands of enthusiastic fans. He closed out the decade with another number one Jamaican single “Nuh Ugly So” (featuring deejay Black-er), a comical, upbeat tribute to women sung to a traditional Jamaican mento rhythm, which earned him two nominations (“Male Deejay of the Year” and “Collaboration of the Year”) at Jamaica’s 2010 Excellence in Music and Entertainment Awards (EME). With his dancehall fan base firmly secured by more than 10 years worth of hits, He was encouraged by the vision and proven success of Togetherness Records, is now concentrating on penetrating the musical mainstream. Mystique Productions is an independent recording and Music Production company, We do Bookings for several artists, We also offer professional voicing and mixing, rhythms, musicians, artists, dubplates, graphics designs and much more….. Mystique Productions is Music based Production Team specializing in original composition and Productions for entertainment, such as songs, soundtracks, commercials. Etc. We strive to provide quality music with meaning and encouragement towards a better tomorrow. We Provide music from a strong portfolio of artists, with various styles and genre. We do not, however, class ourselves as producers, nor promoters, We do keep events’ create music and also manage and book several different artists, especially in the fields of reggae music.